If you perfer spectacular views of the farms of Walpole, consider Ann Marie’s Point of View. If a place of serene beauty under massive pine trees is your desire, look no further than Martha’s Point of View. 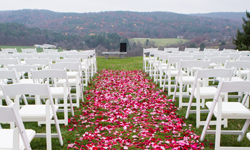 If you prefer breathtaking views of the Connecticut River Valley, consider getting married at Ilze’s Point of View. 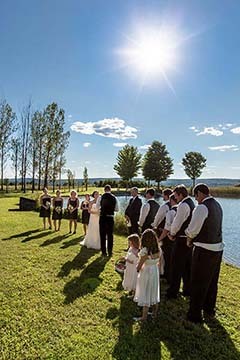 For smaller wedding or winter ceremonies close to the reception hall, Rachel’s Pond might be your ideal choice. 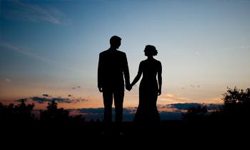 Why should a wedding celebration be just one day? 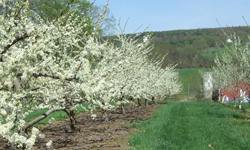 We at Alyson’s Orchard believe this time with family and friends should be savored. Come and see why Alyson’s is rapidly becoming the place in New England to Enjoy a Destination Wedding. Take advantage of our incredible lodging facilities, invite your family and friends, and come make a weekend of it.